Coastal Virginia: seven cities, with even more personalities. This Tidewater region hot spot is a unique mashup of cozy beach town, historic time capsule, and mighty military hub. 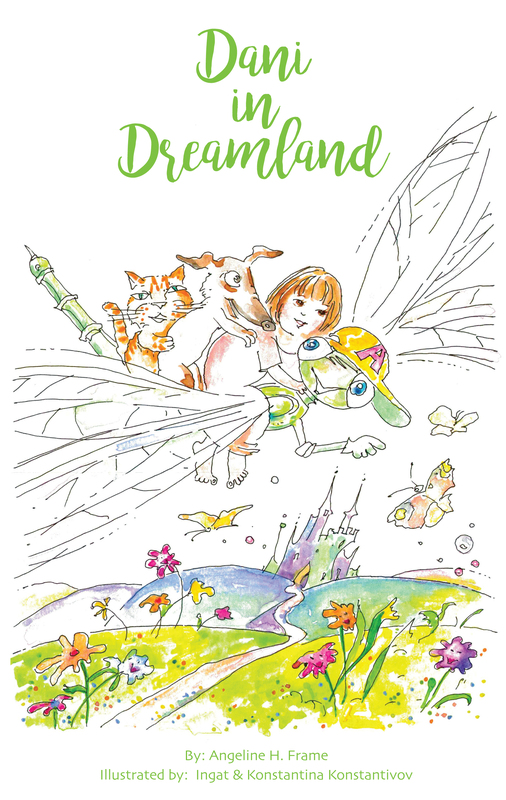 This means there is something for everyone, no matter where you come from and what your dream wedding might entail. Whether you are looking to be the center of attention of all the land or carefully planning an intimate gathering, Virginia Beach and its surrounding cities have the infrastructure to carefully craft the most memorable and unexpected details you never knew you wanted on your big day. Without question, Coastal Virginia has no shortage of waterfront wedding sites. 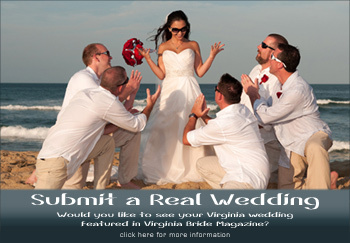 If having sand in your hair on your wedding day is what you’ve been imagining, Virginia has several unique ways to make that dream come true. The extensive trellis of waterways, rivers, beaches, lakes, the enormous Chesapeake Bay (did we mention Tides Inn?) and even the James River gives you endless possibilities for the coastal themed wedding you have always wanted! Check out Lynnhaven Inlet and Chix Beach for an intimate setting with the Bay sparkling in the background. 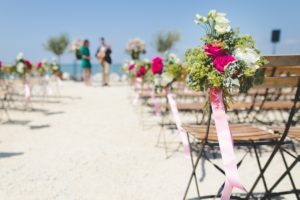 Is a destination wedding your dream, but Cancun doesn’t fit the budget? Book your event at Cape Charles beach on the Eastern Shore, a little beach town about an hour from Hampton Roads that feels like another country. Fort Story has a few secret rocky spits that look like scenes straight out of the rocky North West– one of the only local places you can get sunset photos without town in the background. Sandbridge, Croatan, and the North End beaches are all a little less populated in comparison to the bustling hotels of Virginia Beach Proper, all of which are excellent locations and have local beach house rentals to host your family and friends from out of town, or maybe even your reception! From the humblest tract of sand in a friend’s back yard to the grand Cavalier Hotel, a beachy backdrop is a quintessential wedding style. If saying “I do” in front of a million tourists along the strip isn’t quite your style, there are PLENTY of other beach front options to choose from. Rustic weddings are particularly charming and less fussy than many other styles. Whether you are imagining a rural farmhouse style, a moody winery, a historic battle site, or just a field and a bunch of food trucks, a Coastal Virginia rustic wedding can be an extraordinary setting for your special day. What’s not to love about the bridal party wearing cowboy boots or Chuck Taylor’s and a S’mores bar at the reception? 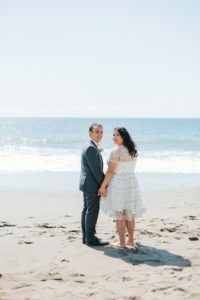 Fort Monroe boasts plenty of crumbling turrets and arches, an old church on a leafy street, as well as breathtaking sunsets on the Chesapeake Bay that make for gorgeous wedding material. Since COVA is the ocean’s end of the Bible Belt, you will find plenty of charming country churches around town perfectly suited for a rustic wedding. Pungo is the last vestige of fields, horses, farms and barns, so check there for sites for a country or farmhouse themed wedding. Perhaps a wedding on the water will lift your spirits…consider a nuptial voyage on the Spirit of Norfolk. 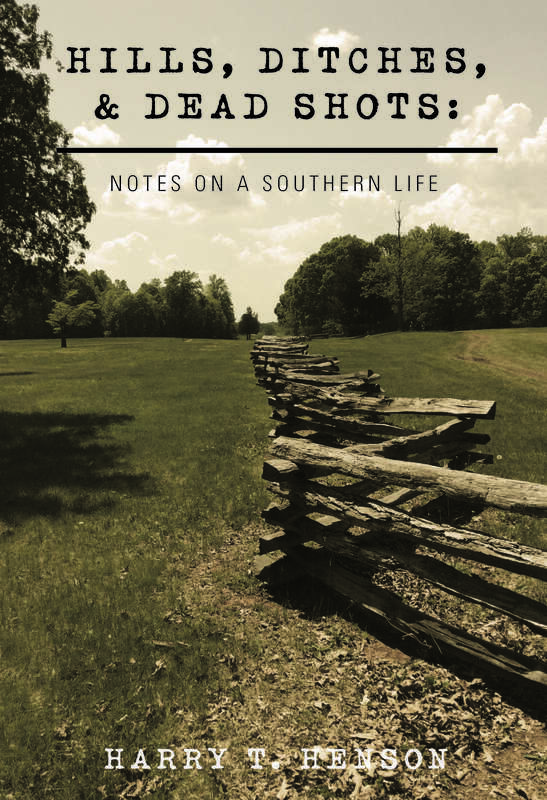 Maybe your dream dress is a fluffy ball gown that just doesn’t scream “sandals and sunshine.” If a formal wedding is more your style, draw on the long local history of pomp and circumstance from one of the earliest settlements in America. There is nothing more formal than war monuments, an opera house, and streets named after the Founding Fathers. 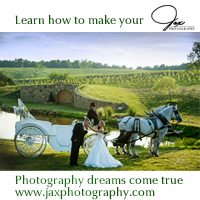 Norfolk has abundant resources and vendors for an unforgettable formal wedding. For a ceremony as stylized as a Jeffersonian wig, consider the many opulent churches in Ghent and Portsmouth, replete with stained glass and flying buttresses galore. The architectural detail found in the oldest parts of Hampton Roads showcases a variety of styles and periods, evidence of the melting pot that gives COVA its essence. An eclectic mix of Romanesque, Gothic, Baroque and Byzantine styled churches mark the artistic nuances brought to Virginia from all over the world. An outdoor formal wedding is also a beautiful and classic way to celebrate your love that may not be feasible at the oceanfront. This style can be easily accommodated at sites like the Renaissance Garden at Norfolk Botanical Gardens (really anywhere at NBG! ), or perhaps for a micro-wedding during the week, the Lion’s Bridge in Newport News right on the James River. And don’t forget venues like the Lesner Inn where you can have an outdoor ceremony with an idyllic marina as your backdrop and walk right inside to your fully catered reception. 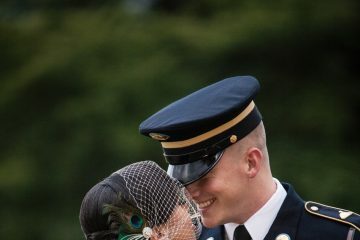 Many military members want their special day to be about them, not the career that brought them here; however, the combination of the emotions of a marriage ceremony and the passion of patriotism will leave every eye moist and a lasting impression of your love and commitment to each other on every guest’s mind. Besides, is there anything more romantic than a wedding with a full complement of men in uniform?! The chapels you can find on base are free to use, and many of them are absolutely charming. Base security frequently accommodates weddings, so don’t let a guest list at the gate deter you from considering this option. Also, don’t limit yourself to a church; what about a ceremony on Langley Air Force Base in front of massive aircraft, with jets flying over as the bride and groom kiss? A military wedding does not have to be a cookie cutter affair; on the contrary, it can be incredibly powerful and meaningful. 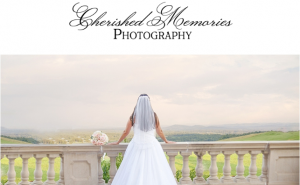 There are so many intangible benefits of hosting your big day in Coastal Virginia! Because of the transient military population, many people who get married in the Seven Cities have family traveling in from out of town. Fortunately, every nook and cranny of Hampton Roads has hotels and tourism fare at the ready. The military has also brought ideals and talents from all over the world, giving our locality a global sense of creativity with endless possibilities for your perfect wedding. 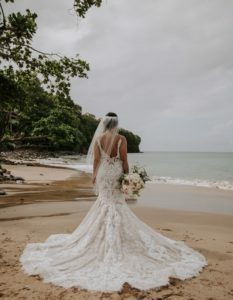 Because the weather here is so fickle, venue managers usually have a Plan B in case of rain or hurricane; there are so many outdoor weddings here that every proprietor has several back up plans in case of inclement weather. Is there any locale on the Eastern Seaboard better suited for the wedding of your dreams? Whether you live here or not, Coastal Virginia has a Pinterest-perfect lineup to make your wedding day shine! 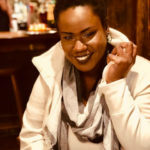 Leslie is a Content Development Strategist with The Blurban Planner Co., LLC. Her travel blog is dedicated to divulging the best-kept secrets of successful small-to-mid-sized businesses around the globe. When she’s not jet-setting to Paris or travel blogging in Reykjavik during layovers, she’s running in the sand with her Great Dane, Beauregard, behind her beach side bungalow on the Willoughby Spit.